Seasoned and grilled, tofu breaks out of its typical image of being bland and tasteless. Tofu is so versatile you can put any spice or sauce of your choice. Growing up in Korea, one of my favorite dishes was pan-fried tofu with soy sesame sauce. It is damn simple but so tasty. For tofu steak, you need to pat dry a block of firm tofu, slice about 1cm thick, lightly coat with rice flour and spice, pan-fry with coconut oil for about 3-4 minutes each side until outside is brown and crispy. I like mine to be still firm texture, but for more crispy skin you can use egg and breadcrumbs. 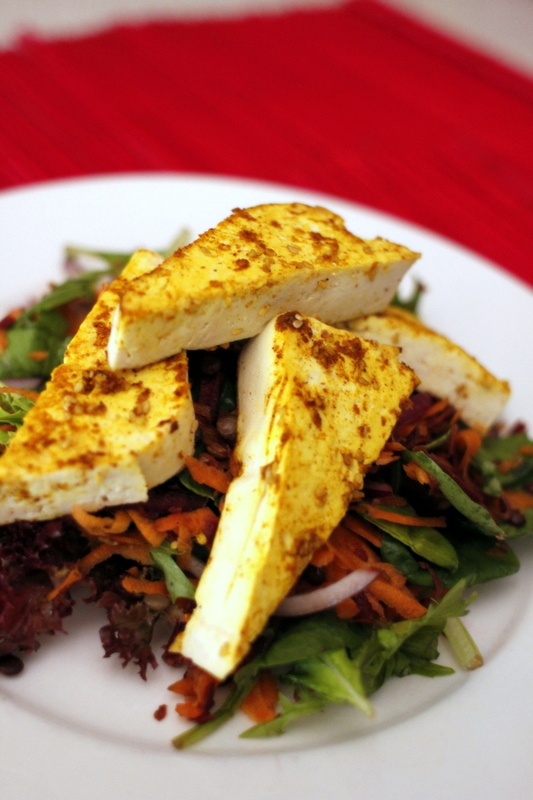 You can serve grilled tofu with salads like me or serve with rice and soy sauce for more Asian flavour. 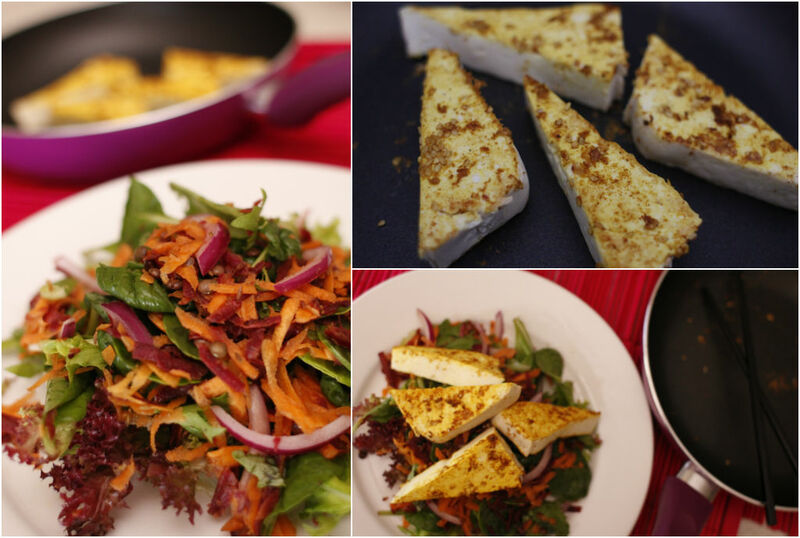 Some people marinate tofu for hours or even a day before cooking if you want tofu to soak up all the flavour. To make soy dressing, combine soy sauce or tamari, minced garlic and ginger, chopped spring onion, sake or cooking wine, sesame seeds and sesame oil. Drizzle over the steak and enjoy! For the salads I mixed cooked French lentils, grated orange and purple carrots, red onion and green salads. It is raw, refreshing, crunch and colourful.